It is with great sadness that we share with you the passing of Sr. Megan. Sister served our IC Catholic Prep community for 10 years as Assistant Principal and Director of Curriculum. She was instrumental in the advancement of our school curriculum, but most importantly, she was a powerful advocate for those students who needed her most. Sr. Megan loved the arts, cooking, and reading the daily funnies. She was quick-witted, a great storyteller, and you always knew where you stood with her. She was an amazing woman. We are truly blessed to have known and loved her. We now have a special angel watching over us. Eternal rest grant unto her, O Lord, and let perpetual light shine upon her. May her soul, and the souls of all the faithful departed, through the mercy of God, rest in peace. A memorial service will be held on Saturday, March 23, 2019, at Rosary High School (901 N. Edgelawn Drive, Aurora, IL). Mass will begin at 11:00 am and a reception will follow. ELMHURST – Jean Field, IC Catholic Prep’s director of counseling, said the next principal of the school will have “huge” shoes to fill. That individual is Tom Schergen, the president and athletic director of IC Catholic Prep since 2012. Schergen will become the new principal July 1 following in the footsteps of Pamela Levar, who is retiring after 41 years at the Elmhurst high school. Levar joined the IC Catholic Prep staff 41 years ago as a physical education teacher and coach of girls basketball and girls tennis. It was her second teaching position after working as a full-time substitute teacher in Chicago Public Schools after completing her Catholic education. Levar and Field, who has taught at the school for 47 years, were physical education teachers at Catholic Prep during some of the same years. In the late 1980s, Levar became dean of students. She was successful in the role, as she worked well with students and showed concern for them, Field said. “I think a real testament to a dean is when the kids graduate and some of the kids that are in trouble all the time go over and hug the dean,” Field said. Field said Levar is an excellent administrator who is highly involved in the school community and student events. Field recalled the support Levar offered when her mother died. She “was there like a bolt,” Field recalled. In fact, Levar and another school administrator returned from a Door County trip to attend Field’s mother’s wake and funeral and asked Field to come with them back to Door County. “That meant a lot to me,” Field said. Field said that was only one example of the many times Levar went “over and beyond” for members of the IC Catholic Prep staff. Levar became principal in 2003 and has become entrenched in the community attending countless weddings, 50th wedding anniversaries parties and birthday celebrations. Levar believes she’s been able to make change and be a leader, and she’s had the support of the Immaculate Conception parish, which has helped the school thrive. One of her proudest achievements is starting the school’s board of directors in the early 2000s. The board has strengthened the relationship between lay people and parish leadership over the years. She also praised the school’s faculty for its dedication. They “have been in the trenches every day” for the sake of the students, who often gain college scholarships and are accepted to college of their choice. Levar said the decision to leave was bittersweet. She thanked those who welcomed her into the IC Catholic Prep community and have offered her support over the years. Levar has received hundreds of emails and texts from people thanking her for her years of work at the school. “It’s been my pleasure. I’m the one who’s been blessed here,” Levar said. A former colleague of Levar’s said the veteran principal would know when the moment was right to leave IC Catholic Prep. Levar hasn’t decided on specific plans for retirement, but looks forward to spending more time with family and grandchildren. “Right now, that’s first on my list, and I’m going to take it one step at a time,” she said. Field said she was sad to see Levar retire but is happy for her longtime colleague. Schergen looks forward to leading IC Catholic Prep. “I am excited to step into this leadership role and I am confident that I will continue to build upon the strengths of our school,” Schergen said in a news release. “I am committed to Catholic education and to making IC Catholic Prep the best possible educational experience for young women and men to develop into mature and independent thinkers. “Like Ms. Levar, I will focus on strong student academic achievement, high quality teacher professional development and continue to be dedicated to our students and families. Her unwavering commitment to our mission has truly made an impact on thousands of students, alumni, and teachers. Schergen has served as the school’s president and athletic director since 2012. Previously, he was the director of the McDermott-Doyle Program for Developmental Learning at Mt. Carmel High School. He holds a bachelor’s degree in elementary and special education from Illinois State University and a Master’s Degree in educational administration from St. Xavier University. The proficiency test will assess your knowledge in Algebra 1 so you can move to Geometry or Geometry Honors. If you wish to take Adv. Alg. 2/Trig Honors your proficiency test will be in Alg. 1 & Geometry. *IF YOU CANNOT ATTEND EITHER SESSION YOU WILL BE PLACED IN EITHER ALGEBRA 1, ALGEBRA 1 ENHANCED, ALGEBRA 1 HONORS, GEOMETRY OR SPANISH 1 or SPANISH 1 HONORS. NO PROFICIENCY TESTS WILL BE GIVEN AFTER APRIL 6. Students taking the Algebra/Geometry proficiency test may take little longer. We will allow 15 minutes beyond the end time. Please plan rides accordingly. 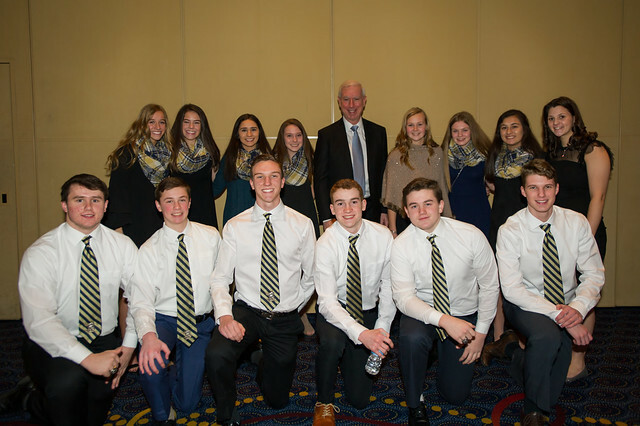 We are grateful to our generous community for making the 2019 Knight of Jewels a special evening of camaraderie and fundraising to support IC Catholic Prep students. To take action on any or all of these items, visit one.bidpal.net/koj2019. On behalf of the Pastor and the IC Catholic Prep (ICCP) Board of Directors (Board), we are pleased to inform you about the selection of Tom Schergen as the new principal of IC Catholic Prep. For the past 18 years, Tom has developed his student-centered style of educational leadership in both public and private settings. He has served as President and Athletic Director at ICCP since 2012 and before joining ICCP, Tom was the Director of the McDermott-Doyle Program for Developmental Learning at Mt. Carmel High School. His commitment to improving education comes from many years of experience as a special education teacher, athletic director, coach and school board member. His interest in education stems from an early age having won the distinguished Golden Apple Scholar Award in high school. He holds a Bachelor’s degree in elementary and special education from Illinois State University and a Master’s Degree in educational administration from St. Xavier University. The Board will establish a search committee to hire the next President of IC Catholic Prep and additional information will be forthcoming as the process develops. Please join us in warmly congratulating Tom, his wife Kelly, and their three children, Tommy, Taylor and Timmy. The State of Illinois has created a new way to fund scholarships for children who choose to attend Catholic schools through the “Invest in Kids Act.” Scholarships offered through this program have the potential to cover up to 100 percent of tuition and eligible charges for next school year at IC Catholic Prep. The Empower Illinois Scholarship Granting Organization website (www.empowerillinois.org) is now operational and is accepting applications for the 2019-2020 school year. And, so is the Big Shoulders Fund. Visit bigshouldersfund.org to begin the application process. In August 2017, with bipartisan support, the Illinois House and Senate passed a comprehensive education funding bill which was signed into law by the Governor. The bill included a new five-year program for Tax Credit Scholarships (TCS) for students in private schools that will create more equity in school funding throughout Illinois. Below is a FAQ with information to date. Updated information will be posted as it becomes available. Visit www.weteachmore.org for up-to-date details, or contact ICCP President Mr. Tom Schergen at [email protected] or 630.530.3485 with questions.